Unconventional oil and gas in Ontario can be hard to see if you don't know where to look, but it's all around the province. 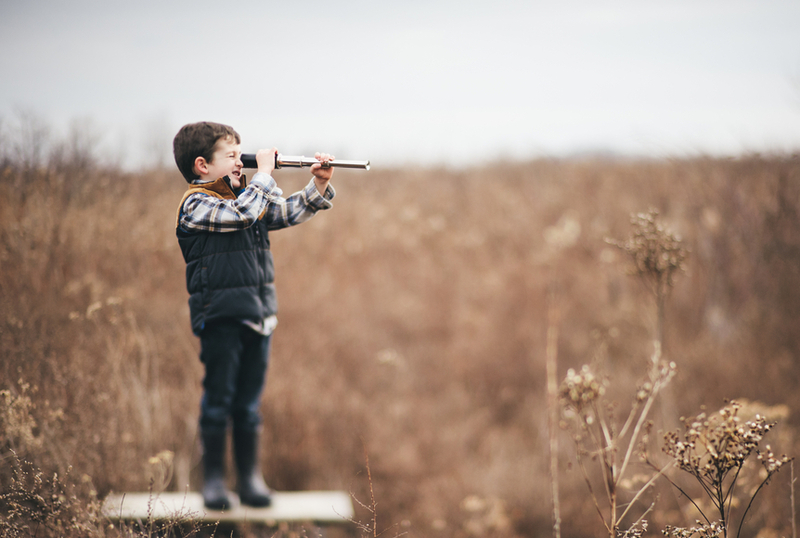 This is the second in a new series of posts by Don Richardson and Emily Ferguson on how "Unconventional Oil & Gas are Reshaping Ontario’s Energy Landscape" Sign up for our newsletter to stay in touch! Where are the other NINE new pipeline projects in Ontario? The premiers of Ontario and Quebec recently teamed up on energy, climate change and strengthening economies. They've agreed to work together to fight climate change and build a stronger and more competitive low-carbon economy. These two Canadian climate change leaders also agreed to work together to ensure that the Canadian Energy Strategy being developed by the provinces and territories takes climate change objectives into account and works to strengthen economic development. We're getting more optimistic about Ontario's energy future, but there's work to be done enhancing Ontario's energy strategy. Getting a lot of media attention was the Ontario-Quebec agreement on seven joint principles and collaborative work to guide their respective decisions concerning pipeline projects, including TransCanada's proposed Energy East pipeline project. While most of the media attention is on Energy East, we noted that the operative word in Ontario's media release was "projects". So, what other pipeline projects are out there that might benefit from joint principles and collaborative work between the two provinces? How do these pipeline projects fit with fighting climate change, Ontario pipeline regulations and building a more competitive low-carbon economy? Ontario sits in the midst of a rapidly changing unconventional energy boom – a reality that hasn't received much media attention or government policy consideration thus far. Supply and demand chains are changing, massive pipeline networks are being built, and the Ontario's Long Term Energy Plan is having difficulty keeping pace. Ontario sits in the middle of an unconventional oil and gas supply chain, with much of the energy resources simply flowing on pipelines in and out of Ontario from the U.S. and western Canada. In just the last two years Ontario became a continental hub for the transportation, storage, processing and energy uptake for North American "unconventional" oil and gas. The flow of these new fossil fuels is rapidly shifting Ontario's energy landscape. A new Ontario Energy Strategy can help Ontario communities and businesses to effectively manage the impacts of this shift - both positive and negative impacts. forging new commercial energy relationships - particularly with Aboriginal communities whose traditional territories will face impacts from these developments and whose peoples will be seeking opportunities for Aboriginal economic development. A new Ontario Energy Strategy will help to address the many challenges and opportunities that come with tremendous investment in “unconventional” fossil fuels. Are there challenges, risks and uncertainties? Yes. For example, the jury is still out on the methane greenhouse gas contributions from shale gas, but understanding the risks and challenges is the first step toward solving them. Where is all the new oil and gas coming from? There's even consideration of shale gas production in southern Ontario, although the economics and social acceptability are questionable. These new unconventional energy resources are being transported to, and across, Ontario through new and proposed pipeline networks, and are being stored at unique locations like the massive North America Dawn natural gas storage facility near Sarnia, Ontario, and processed at refineries such as the refining complexes in Sarnia and the Imperial Oil refinery at Nanticoke. 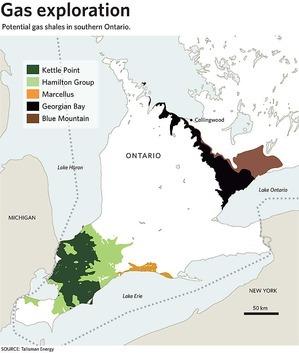 In just a couple of years, Ontario has gone from zero shale gas imports to having 30% - and growing - natural gas in the form of shale gas being imported from the U.S. More and more Ontario is using unconventional gas for electrical power generation at facilities across the province - currently at about 15% of overall electricity generation and growing. 1. Enbridge Line 9: This controversial pipeline was slated to begin operation in the Fall of 2014 but is being delayed while decisions are made on where best to put safety valves at important water crossings across Ontario. 2. Enbridge Line 10: Enbridge and its U.S. partner, United Refining are proposing renew the life of the 50+ year old pipeline (built in 1962) for many more years in order to transport oil sands and Bakken crude from Hamilton through the Niagara Peninsula and across the Niagara River (close to Niagara Falls and the intake pipe for Ontario Power Generation's hydro-electric generating station) to New York and Pennsylvania. 3. Kinder Morgan's Utica-to-Ontario Pipeline Access (UTOPIA) project: This is a 240-mile, 12-inch diameter pipeline from Harrison County, Ohio, to Kinder Morgan’s Cochin Pipeline near Riga, Michigan, where the company would then move product eastward to Windsor, Ontario and on to NOVA Chemicals’ Corunna, Ontario, facility near Sarnia with ethane and ethane-propane feedstock from new and existing producers in the growing Utica shale basin - initial 50,000 barrels per day (bpd) of capacity, which is expandable to more than 75,000 bpd. The approximately $500 million pipeline project is expected to be in service by early 2018. 4. Energy Transfer Partners LP's ET Rover natural gas pipeline from Ohio and Pennsylvania to the Dawn Hub natural gas storage facility. 5. Enbridge Gas Distribution's $686.5-million pipeline expansion project in Greater Toronto: The expansion will let more shale gas flow into Ontario, much of it along the Highway 407 corridor right-of-way. 6. 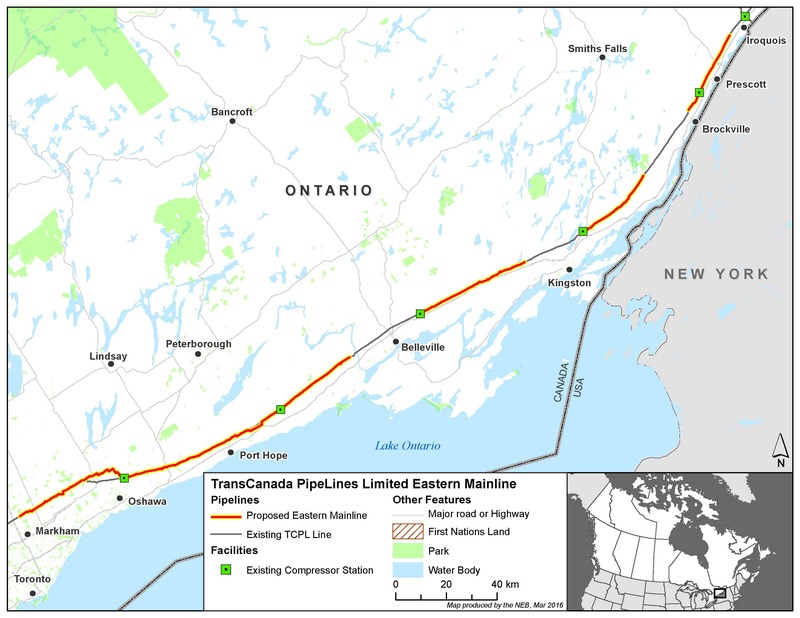 TransCanada's Eastern Mainline Project: A proposal for 250 kilometres of new natural gas pipeline facilities that will be integrated into the Canadian Mainline system upon completion and tied to TransCanada's proposed Energy East oil pipeline project that will replace northern-eastern Ontario gas pipelines with oil. 7. TransCanada's King's North Connection Project: Proposed to connect new Enbridge Gas Distribution pipeline facilities with TransCanada’s existing natural gas transmission facilities in the Greater Toronto Area - "The project will facilitate greater access to these [Marcellus and Utica shale gas] U.S. sources of supply and will serve existing markets in Ontario and Quebec that are expected to remain relatively stable over time." 8. 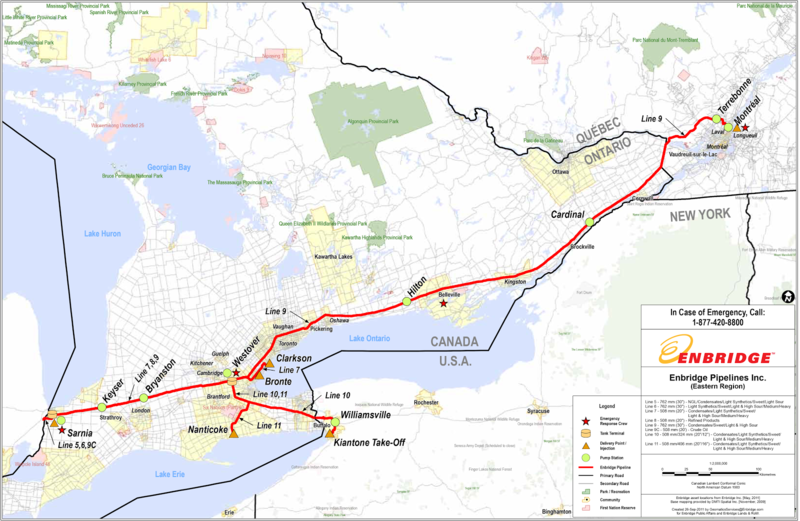 Union Gas' Dawn-Parkway extension project: A proposed 48-inch diameter natural gas pipeline between Hamilton and Milton that connects with TransCanada and Enbridge pipelines in the GTA. 9. NEXUS Gas Transmission (NEXUS) system: A proposed shale gas pipeline network to move supplies of Appalachian shale gas to high-demand markets in the U.S. Midwest, including Ohio, Michigan, Chicago and Ontario's Dawn Hub. 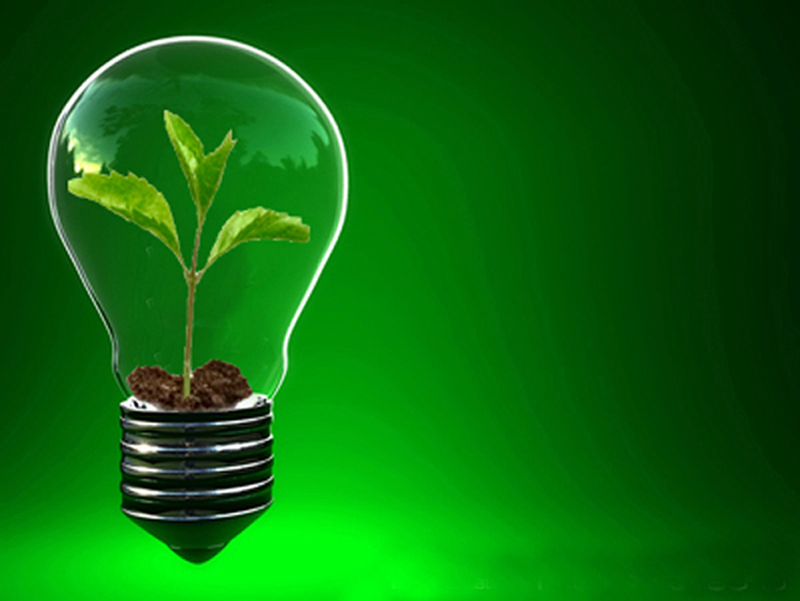 Interests of natural gas consumers must be taken into account. Applying these principles to the nine new projects identified above, will go a long way to enhancing Ontario energy strategy around climate change, sustainabiilty, economic development, Aboriginal community wellbeing, and making the best choices for energy opportunities in Ontario. We'll be paying close attention.